A couple final (?) thoughts on the Nov. 6 election in North Dakota. As I’ve said repeatedly over the past few months, North Dakota Democrats needed to focus ALL their messaging opportunities on two topics: Trump’s trade wars and Republicans trying to take away health insurance. But Democrats being Democrats, they wandered all over the place in the final weeks of the election campaign. One of the places they wandered was onto the state’s Indian reservations. One of the biggest stories of the last few weeks of the campaign was the charges by the Democrats that Republicans were trying to suppress the vote on the state’s reservations by requiring hard-to-obtain identification cards in order to vote. Not only was that a huge distraction, but it may have put Democrat candidates on the wrong side of our state’s dirty little secret — most North Dakotans really don’t like Indians all that much. I’ve always believed that North Dakota has a subtle, subconscious racist streak. It doesn’t surface often because there aren’t often obvious opportunities for it to surface. We have a very small black and Latino population, and Indians are generally relegated to their reservations — out of sight, out of mind. But racism had an opportunity to surface recently with the Dakota Access Pipeline controversy. That was about as blatant an example of racism as I have ever seen in our state. So as the election of 2018 approached, and stories appeared that said Heidi Heitkamp narrowly won election in 2012, by just 3,000 votes because of the Indian vote—she had a winning margin of more than 3,000 votes in reservation counties — there was pretty likely a simmering resentment among the more than 150,000 voters who supported Heidi’s opponent, Rick Berg, in that election. So when the Indian issue resurfaced as the election approached, when all over the news were stories about how there was an extra effort being made on the reservations to get them ID cards so they could vote — and elect Heidi Heitkamp again — those same voters weren’t going to let those Indians steal it again, by God. A couple things of note on Measure 3, the legalization of marijuana, which was defeated by a margin of 60 percent to 40 percent. So what were the other three counties voting to legalize pot? Here’s a hint: They have something in common. 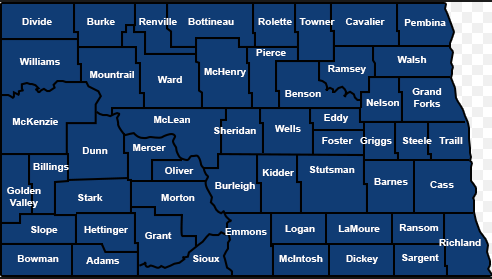 They are Benson, Rolette and Sioux counties — reservation counties — home to the Spirit Lake, Turtle Mountain and Standing Rock tribes. And it ran pretty strong in Mountrail County, which contains much of the Three Affiliated Tribes reservation. My friend, Mike Jacobs, who comes from Mountrail County and considers it one of his bellwether counties in elections, pointed this out to me, speculating it might have something to do with Native Americans’ traditional use of herbs as medicine. Well, maybe. You draw your own conclusion. The second thing of note was called to my attention by another friend, former State Senator Tracy Potter, who pointed out that marijuana in North Dakota is more popular than Democrats. Measure 3 got more “Yes” votes than every Democrat on the ballot except Heidi Heitkamp — 131,585 North Dakotans voted to legalize marijuana. Heitkamp got 143,737 votes. The next closest Democrat was tax commissioner candidate Kylie Oversen, with 128,244, losing to marijuana by just over 3,000 votes. Kylie will go down in history as being almost as popular as marijuana. Now, as a final note, let me talk about coincidences. On Nov. 6, 322,613 voters cast ballots for either Cramer or Heitkamp in the U.S. Senate election, the race at the top of the ballot. Way down at the bottom of the ballot, 324,736 cast ballots on the marijuana measure. So there were about 2,000 more voters on the marijuana issue than for Cramer and Heitkamp.